Carlsbad, CA - Feb. 12, 2019 - Hauling in four victories across four tours, the Red Label could not be stopped! KBS had three first time winners, and a vet who continues to prove the doubters wrong with his strong play. This marks the fifth week in a row KBS has produced a winning result! The numbers don't lie. 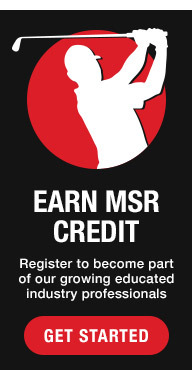 Join the movement and see how KBS can make a difference in your game! At KBS, we are focused on maximizing your performance on the course by providing the most technologically advanced premium golf shafts, making KBS the fastest growing and most innovative golf shaft brand in the industry. 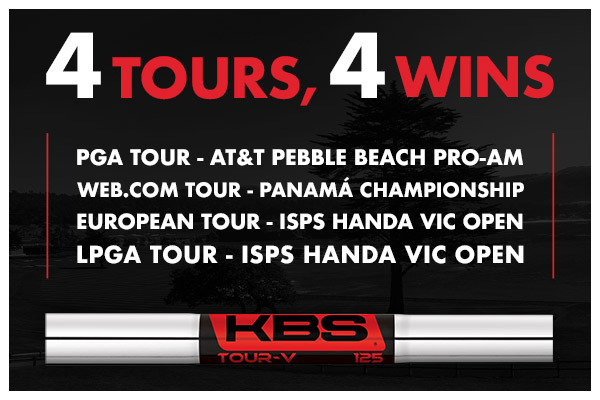 Since its inception in 2008, over 200 professionals across the PGA, LPGA, European, and Web.com Tours trust KBS Golf Shafts. That number is highlighted by 10 of the Top 50 players in Official World Rankings playing KBS Golf Shafts. KBS Golf Shafts incorporates unique and advanced shaft designs to provide golfers maximum feel and performance. Headquartered in Carlsbad, California, KBS is manufactured in partnership with (FST), the KBS product line has expanded to over 20 different shaft models to advance anyone's game, from junior players through tour professionals. The KBS Golf Shafts line of products includes: KBS TOUR, KBS TOUR-V, KBS $-Taper, KBS C-TAPER & KBS C-TAPER LITE, KBS WEDGE shafts, KBS CUSTOM Shafts, along with newly released models and first KBS Graphite options, KBS TOUR GRAPHITE IRON (TGI), and KBS TOUR GRAPHITE HYBRID. 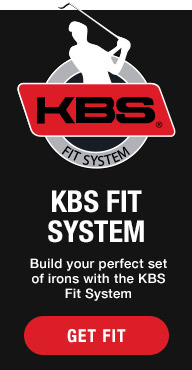 Products are available through kbsgolfshafts.com and all major golf club manufacturers and retailers worldwide. 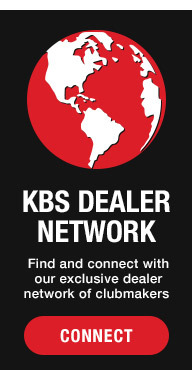 KBS has one of the largest network of dealers around the globe, both online and in-person, who provide custom fitting, ordering, and the building of your perfect KBS Golf Shaft combination. Player Driven. Tour Proven.